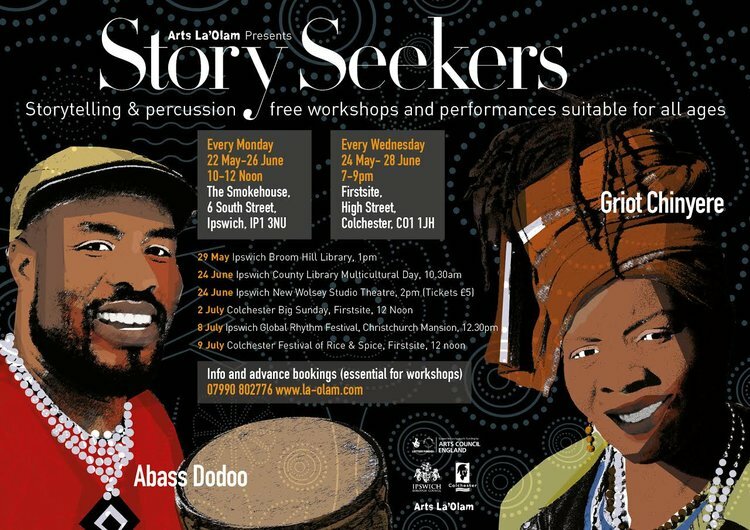 The next instalment of a weekly workshop in storytelling and percussion led by the amazing Griot Chinyere and the incredible Abass Dodoo. The workshops will run for six weeks at the Smokehouse, off Norwich Road on South Street. Everybody is welcome. The workshops are completely free of charge thanks to support from Arts Council England and Ipswich Borough Council. We can provide interpreters for people with limited English, and travel for those with limited mobility. All ages and abilities welcome.